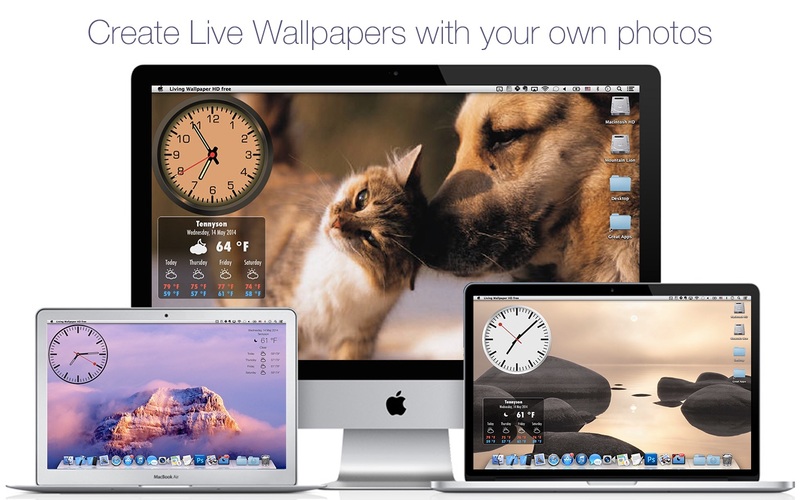 Live Wallpaper HD offers a selection of beautiful, themed scenes that will add life to your desktop. From cityscapes and sunsets to far away galaxies – each with a cleverly integrated clock and weather widget – your screen will always have that special touch. Customise your weather widget and clock style and also create your own personalised wallpaper by using your favourite pictures. Informative Dock icon shows at-a-glance weather conditions and temperature (current, today\’s or tomorrow\’s forecast) even when wallpaper is not activated.